DeskScapes is an extensive desktop enhancement application which provides you with many options to customize the look and feel of your Windows desktop. The interface of the program is beautiful and very easy-to-use. There are several parts which you can use to customize your desktop background and choose whether you want a dynamic background, a video of some sort or something in between. You can also apply filters to desktop background settings so that only the best rated backgrounds are used. 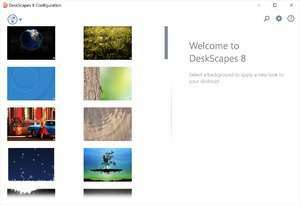 DeskScapes 8.51 is a shareware program and can be used as a demo to try the software until the free trial period has ended. A full version of the program is available after the trial period ends. For security reasons, you should also check out the DeskScapes download at LO4D.com which includes virus and malware tests. Additional screenshots of this application download may be available, too.